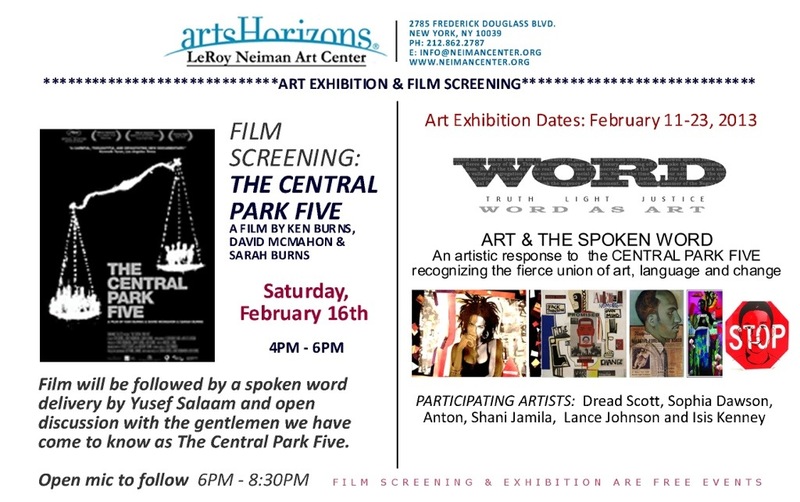 Free screening in Harlem of The Central Park Five | HarlemGal Inc. This screening allows the community an opportunity, not only to examine facts and fiction, but to engage in creative exploration, and dialogue with the men at the center of the storm-who are still fighting for justice some twenty years later. This entry was posted in Central Park North, Community, film, Frederick Douglass Blvd., Harlem, New York, New York City, NYC, Youth and tagged David McMahon, Entertainment, film documentary, Harlem, Harlem Blogs, Ken Burns, politics, Sarah Burns, The Central Park Five. Bookmark the permalink.